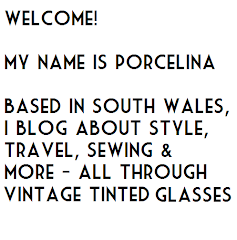 I'm Porcelina, blogging about my life and style from the picturesque South Wales Valleys in the United Kingdom. I live in a 1930s' house with my musician husband, and we enjoy exploring Wales and beyond in our free time (usually with a hunt around the charity shops). 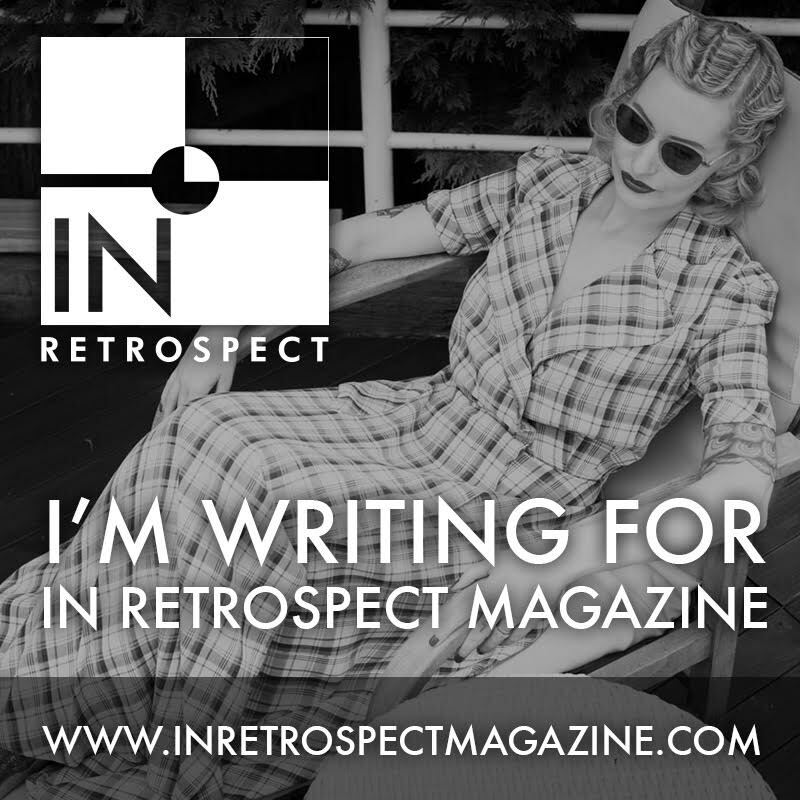 I write for In Retrospect magazine, but am currently taking a break from that while I finish my psychology PhD. I am making a conscious effort to make better choices when it comes to buying clothes. I mainly buy second-hand, from charity shops, car boot sales, and vintage fairs. My 'look' is probably best describe as 'modern vintage style'. I am never period-perfect, and I am not afraid to mix eras. I post weekly 'outfit posts' that are a mix of staged shoots and candid photos. 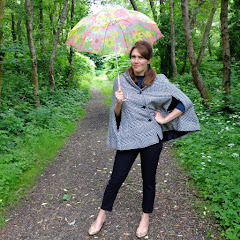 I also do a monthly round-up of clothing and accessory purchases. Travel adventures are one of my favourite past-times, whether it's a day trip somewhere local in Wales, or a holiday further afield. You're just as likely to find me staying in a rustic yurt or a an eco-house as a luxury hotel such as the iconic Portmeirion Hotel or a grand suite in Seville. I sometimes get to tag along with my husband when he's gigging, and we always make use of our National Trust membership to visit historic places wherever we go. I love attending vintage-themed events and exhibitions whenever I can too, whether it's a fashion museum in Malaga, or a festival such as The Dig for Victory Show in Somerset. I mainly read books with a vintage or historic influence, but I also enjoy crime stories and science-fiction. Books I've reviewed have included non-fiction such as How to Read a Dress and Hollywood Beauty. We have some wonderful food festivals here in Wales, such as the Abergavenny Food Festival and the Cardiff International Food & Drink Festival. I have written lots of reviews on the best places to have afternoon tea, on local restaurants, and fine dining experiences. Even better is a gourmet break where travel and food collide! In 2016 I had a vintage wedding - read all about the outfits and budget. Very slowly, we are working on a DIY transformation of our 1930s' house. 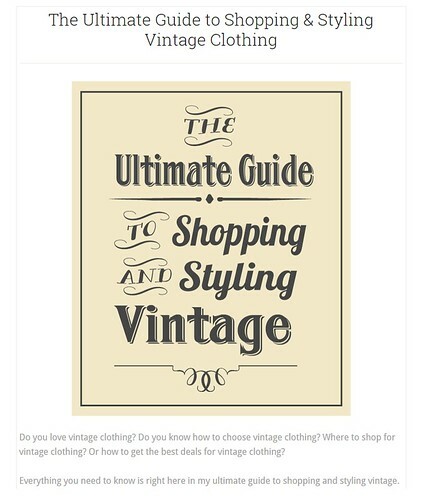 I've worked with lots of brands, from high street giants to independent sellers on Etsy. As well as featuring products (such as clothing, perfume, beauty products, jewellery, and lots and lots of books) I like to write about places I've visited, be it accommodation, afternoon-tea establishments, tourist attractions, antique emporiums or cocktail bars. I'm passionate about showing off just how wonderful Wales is but I venture further afield too. I always write 100% of my own content, and I only feature products and brands that I genuinely like. If you think I might like your brand then please get in touch.